Things get competitive at Lucid’s sports day! While some look back on their school sports days with blissful memories of relay races and tug of war, others are haunted by images of overly competitive parents and injuries sustained in three-legged races. 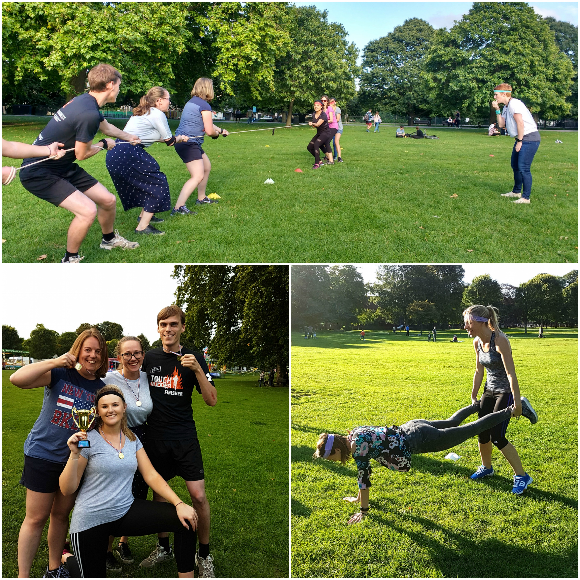 Last Wednesday evening, Lucid took a walk down memory lane with its very own sports day in a local park in London. Perhaps atypically for a sports day, the weather was warm and sunny. After being divided into four teams, things got competitive! With classics like egg-and-spoon, wheelbarrow and three-legged relay races, Lucid employees had plenty of opportunities to demonstrate their sporting prowess. After a fierce tug-of-war tournament and a heated game of kick rounders, the ‘Champions in Black’ team secured their victory and won the much-coveted Sports Day Trophy and boxes of chocolate.